This is the one! Why build when this house is ready and waiting for you! 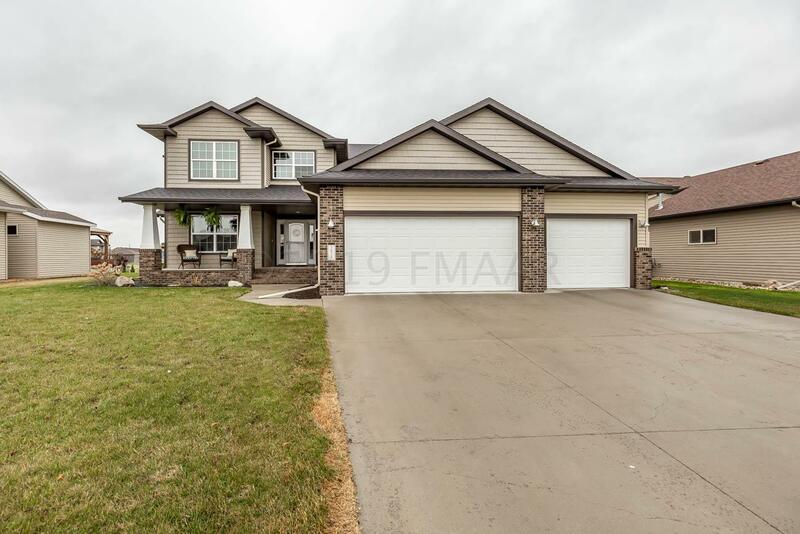 Fully finished 2-story with fenced pond view lot, main floor master and laundry, and fully finished basement. Outdoor inclusions include Rainbow play gym (if wanted) and gas fire pit. Indoor amenities include wet bar with distressed wood counter, full sized refrigerator, movie projection equipment, and beautiful stone fireplace. Full bath has whirlpool tub! Finished garage has floor drain and heater, and yard has sprinkler system. Plus this house has unbelievable storage space! Dining Room: Could be office space?